I recently managed to get myself a copy of William Playfair's Statistical Breviary, from 1801. The whole thing is online but the fold out pages with the charts haven't been scanned properly so it's only with the hard copy that you get the full view. Why is the Statistical Breviary of interest anyway? 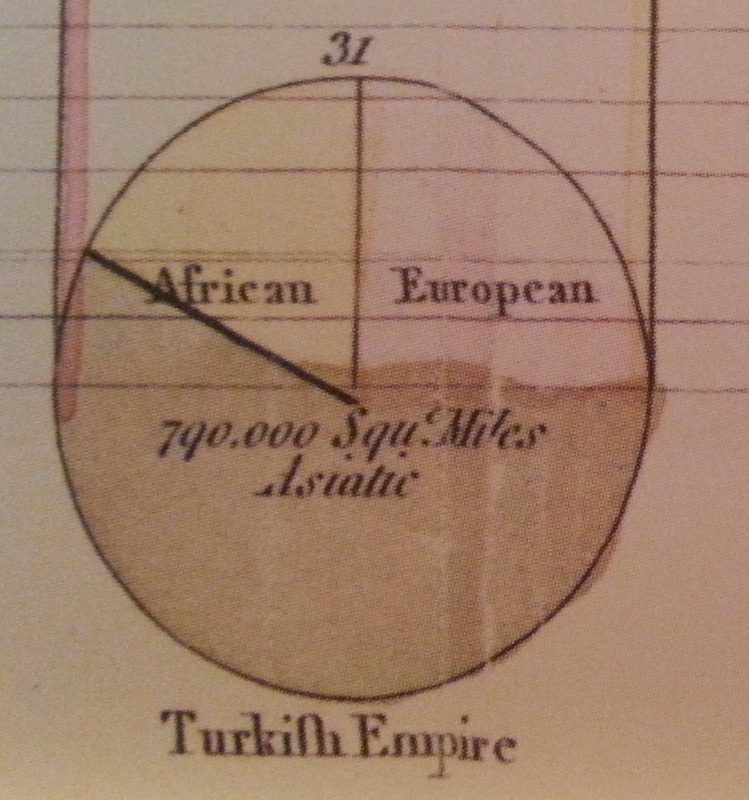 Well, because it's one of the most important texts in the history of statistical graphics and where the pie chart first appeared (below) - though many wish it never had! 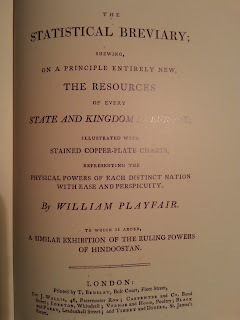 Playfair had already come up with the line graph and bar chart in The Commercial and Political Atlas so he's rightly held up as a pioneer in his field - even if this work was largely overlooked at the time. Fast forward over two hundred years and you can see that his ideas on graphical display are still pretty potent - and many analysts use them daily without realising. For example, the chart options in Excel (below) contain four types which he invented (line, pie, area, bar). 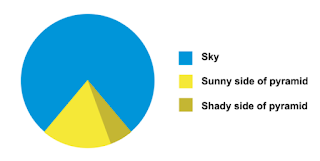 The pie chart gets a bad rap, and Edward Tufte says 'the only thing worse than one pie chart is lots of them', but it is useful for showing parts of a whole. It's just that it's so often abused. This New York Times magazine piece from 2012 does a good job of setting things straight - and the comments are pretty interesting too. 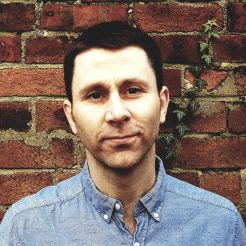 But today's blog isn't about pie charts. Instead, I thought I'd share some interesting nuggets from the Statistical Breviary. You can also sense Playfair's frustration with the data he used, perhaps most tellingly in his use of the phrase 'scanty gleaners' (p. 10). Perhaps he was one of the early advocates of open data when he said that 'were the aid and support of public men obtained in collecting statistical knowledge, great progress might be made in it at little expense ... but so long as that is not the case, individuals will find themselves reduced to the situation of scanty gleaners, not that of men carrying home an ample harvest' (p. 10). Are you a 'scanty gleaner'? Why on earth was Playfair motivated to do any of this? Well, there were probably many reasons but the most obvious is that he was trying to make data engaging and useful. He says as much in the Preface and Introduction but also on p. 16, where he notes that 'no study is less alluring or more dry and tedious than statistics, unless the mind and imagination are set to work'. Indeed, that's part of the motivation behind this blog. The Statistical Breviary, as the name suggests, then proceeds though the reporting of various trade and other data for a number of empires and dominions - from 'The Empire of All the Russias' to the 'small states' of Genoa and Parma. His descriptions of some of the nations are - from today's vantage point - rather amusing! 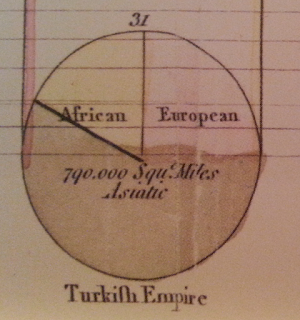 The Turkish Empire - 'the finest portion of the world is in possession of the Turks' (p. 20). Denmark - the people are 'still of a very brave nature' (p. 28). Poland - 'this extensive and fruitful country, better peopled than any of the neighbouring nations, and with a brave race of inhabitants' (p. 30). France - 'the French are violent, quick, generous, and enthusiastic' (p. 32) - note that Playfair lived in Paris from 1787 to 1793. 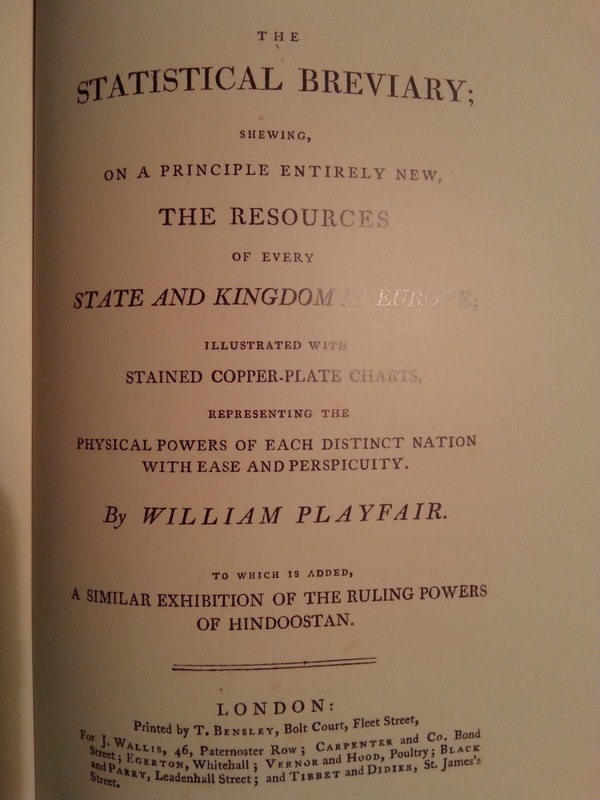 Britain and Ireland - I was interested to note here that Playfair, despite being a Scot, writes in this section that 'England is now the first commercial and manufacturing nation' (p. 36). It's unclear whether he's conflating England with Britain and Ireland, or just referring to England alone, but it seems like the former. Surely the kind of thing to set off vexed comments if he was writing on the Guardian DataBlog (being a Scot myself, I'm sympathetic to this). The population is listed as 14 million and the 'Chief towns' as London, Dublin, Edinburgh, York, Liverpool, Bristol and Newcastle. Portugal - 'may be considered as Spain in miniature' (p. 42), which I thought was quite amusing. It's also interesting to note that Playfair decided for some reason to cover 'Hindoostan' in the Statistical Breviary, and this final section also has circle charts and data - but it looks like a late addition to me. When we look back on texts like this it makes me think that there isn't really that much new in the world and that genuine innovation ('shewing, on a principle entirely new' in Playfair's lingo) is actually quite rare. If you're interested in reading more, take a look at an online version. If you want to go and look at an original Breviary, you might have a library near you with a copy, though access can be a little complicated because it's so old. For now, I'll finish with a little pie chart joke that's been doing the rounds since last year - though nobody seems to know the original source so if you find out do let me know.